Looking to take a cruise to the Port of Galveston? 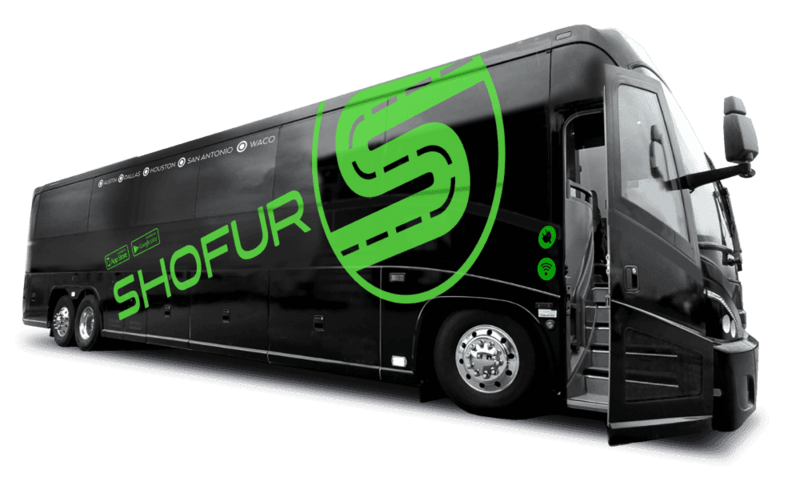 Shofur arranges transportation for thousands of passengers each year with Galveston charter bus companies. We'll arrange for a bus to pick you up anywhere in Texas and return service. Our dispatch service is available at all times to get you there comfortable. Check out rates for popular destinations from Galveston TX. Rent a Bus in Galveston Today! Enjoy your next trip to Galveston with a charter bus, mini bus, limo bus, or luxury shuttle. It's a global luxury transportation company, specializing in touring vehicles that offers you, your family, or company a great way to see the sites. Their drivers are put through an extensive training program with a full background check. Their vehicles offer extreme comfort for your enjoyment and their service is unbeatable. It's a city and barrier island off the Texas Gulf Coast, about 50 miles southeast of Houston. The island is about 27 miles long and only three miles wide at its widest point. Interstate 45 is the only way to reach the island from the mainland. It was once inhabited by Jean Lafitte, a famous pirate who used the island to smuggle in slaves. In the 1830's, it became a primary port and an immigration destination and was a thriving city. But in 1900, the island was hit by a hurricane, the greatest natural disaster to strike anywhere in the United States. Most of the island was destroyed, including over 6,000 people. To protect the city and island, a seawall was constructed that is still in existence. The island offers tourists a variety of things to do and places to see. The Downtown Strand, Bishop's Palace, the Pleasure Pier, Moody Gardens, Schlitterbahn, and the ferry ride over to Bolivar Peninsula are all fun things for families to enjoy. The Downtown Strand is recognized as a Natural Historic Landmark because of its 19th century historic architecture. There are excellent restaurants, shops, an opera house, and art galleries along the few blocks near the cruise terminal. If you get tired of walking, hire a horse drawn carriage to show you around and take you over to the waterfront. Be sure to see the seawall and spend a few minutes walking on the beach. You'll be rejuvenated as you feel the cool breeze and smell the deliciousness of salt in the air. Bishop's Palace is the island's grandest building. It was built between 1886 and 1992 with rare woods, stained glass windows, sculptures, and luxury furnishings. It's the one building you should make time to see. The Pleasure Pier was built 1,130 feet over the Gulf of Mexico and is an amusement area with rides, restaurants, and games for all ages. It features two rollercoasters, the Pirate's Plunge, the Galaxy Wheel, the Sea Dragon, and the Texas Star Flyer. Several midway games of skill and chance are also part of the entertainment. Moody Gardens is another attraction for visitors. It offers an aquarium, rainforest, theaters, a Sky Trail Ropes Course, and a Zip Line. Schlitterbahn is an indoor waterpark with speed slides, tube chutes, and a tidal wave river. The island comes alive when it's Mardi Gras time. Extravagant parades, bead throwing, galas, and other events make this the happening place every February. People line up and down the streets and stand out on the balconies of buildings on The Strand to witness the beautifully decorated floats and outlandish costumes. It may not be New Orleans, but it's the largest celebration in Texas. The other annual event that islanders and visitors look forward to every year is Dickens on the Strand. It's held every year in December before Christmas along the Strand and has become world famous. It's a street festival based on the 19th-centure Charles Dickens era featuring a parade with Queen Victoria. There's non-stop entertainment with six stages, roving musicians, carolers, jugglers, and bagpipers. With gorgeous costumes, vendors peddle their wares using rolling carts and street stalls filled with holiday food and spirits. The crafts, jewelry, clothing, holiday gift items, and decorations are all inspired by the Victorian times. The island should definitely be on your bucket list to visit. There's nothing like relaxing in a comfortable seat while someone else is doing the driving!